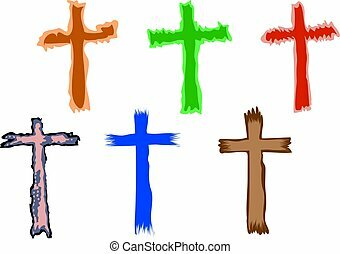 A set of colourful simple line drawing christian icons. 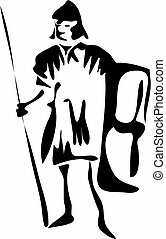 A stone cross and winged angle visible above the top of an old wall or tomb roof. 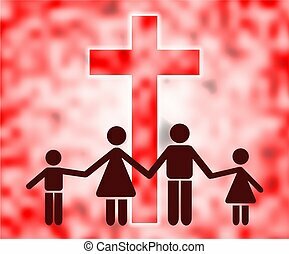 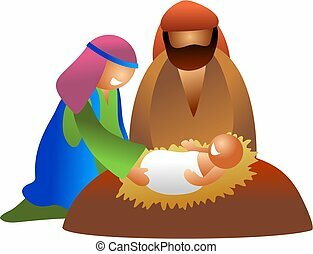 Christian family holding hands and standing in front of a giant cross symbol. 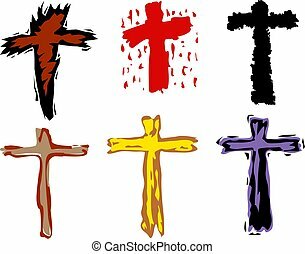 A set of four, two color icons on the theme of Christianity and faith. 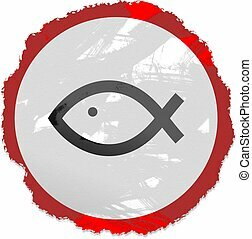 A hand drawn doodle drawing of a Christian icthus fish symbol. 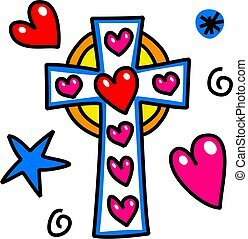 Simple hand drawn cartoon doodle sketch of a Christian cross symbol with love heart shapes.